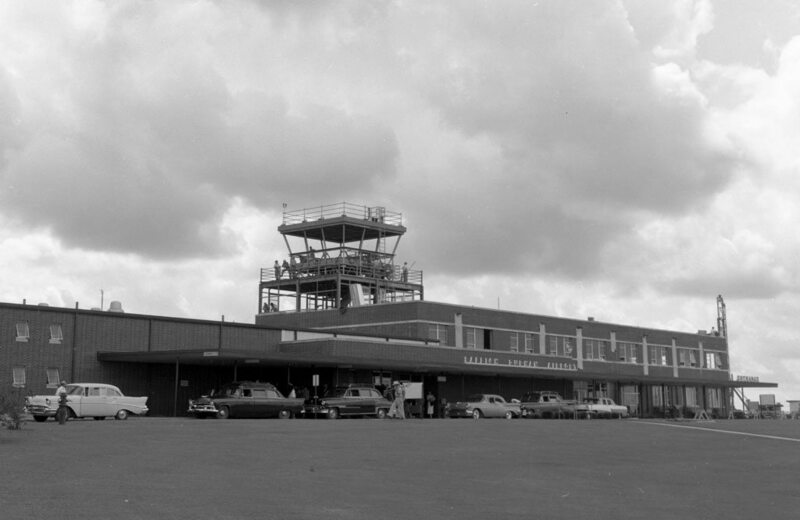 #TBT: We are throwing back to the 1950’s today, and the Raleigh Durham Airport as it looked about 1957. In 1940, the state legislature selected a site midway between Raleigh and Durham for a new airport, and RDU was born. Construction was delayed by WWII, and the army utilized it as the Raleigh-Durham Army Air Field. Its first permanent terminal was built in 1946. The brick terminal, known as “Terminal 1”, was constructed in 1955, and later became known as “Terminal B” when a new addition was built in 1987. While the original section has reached the end of its useful life and is being demolished, RDU continues to expand and grow. Happy Thursday!